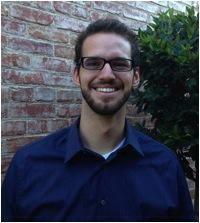 Dr. Ryan Thomas works with children, adolescents, and adults, providing therapy from an attachment-based perspective. He has experience working with a diverse population of people struggling with many different mental health concerns, from depression, anxiety, and relational problems to autism spectrum disorders and traumatic brain injuries. Ryan completed his doctoral degree in Clinical Psychology at Fuller Theological Seminary’s Graduate School of Psychology. He believes that healing change comes primarily through deep and meaningful relationships, and he strives to meet his clients at their own level in order to help them overcome the obstacles in their lives. Ryan routinely talks about emotions, relationships, issues of faith, and major life experiences with his clients, all the while helping them to craft new perspectives on their lives and develop new tools to deal with their unique situations. Outside of the therapy room, Ryan has helped to develop several research projects that explore how virtues like patience can improve people’s quality of life and well-being. Ryan is registered with the State of California as a Psychological Assistant PSY 94023184 under the supervision of Dr. Andrea Davis PSY 12296. In addition to his clinical work, Ryan currently works as a Floortime Specialist with Greenhouse, providing support for parents of children with autism and coaching them on how to engage their children in developmentally appropriate play.